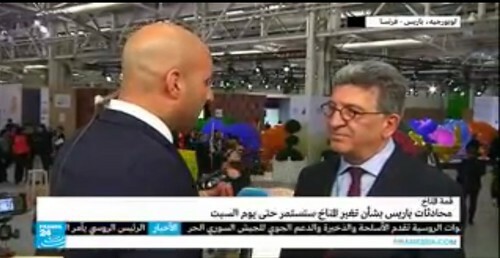 AFED Secretary General Najib Saab told media at Climate Summit in Paris that a good deal is imminent. What is holding its conclusion, he said, was the change in alliances during the last days. 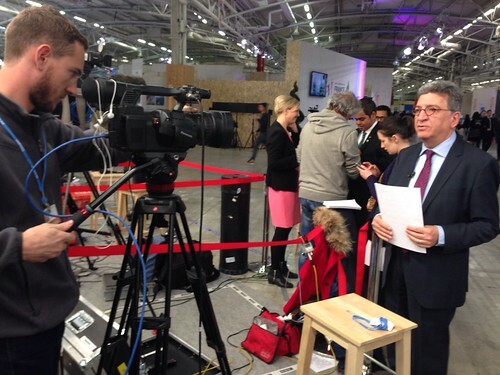 Saab was talking to Aljazeera, France 24 and Monte Carlo Radio. A new alliance appeared between African, Pacific and Caribbean countries, with European Union, USA and Canada, calling for binding agreement. This broke the traditional lines between rich and poor countries. China, India and some countries whose economy is heavily dependent on oil are still trying to get better conditions. Saab explained that negotiators reached positive compromise on most points. Climate financing will be conditional on progress made on mitigation. China and other fast-growing countries are still trying to be considered part of the developing group. But compromise between USA and China is expected before agreement is announced on Saturday.